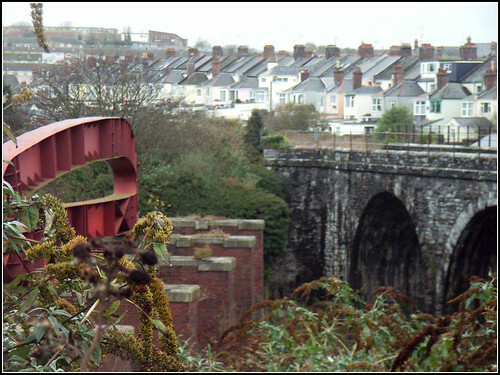 Its the bridge over Stuart Road on the left that I am interested here. As you can see here its no longer a full bridge. The stone supports are still in place but the track has long since gone. There is a large metal girder 'public sculpture' (the pink thing!) on top of these supports which at least does make this bridge visible to all who are in the park below it. 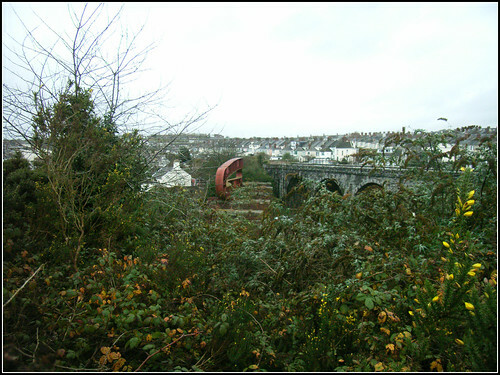 It used to carry the main line into Millbay Station and beyond into Millbay docks.